Snowing in Salt Lake City! Well today there were snow showers in Salt Lake City. Now before you all start laughing at me for being a bit excited, please remember I come from a sub-tropical climate and I don’t ever see snow! So it was quite exciting to see it. This is about the right amount. Yes I know you hardened types routinely manage to deal with many feet of snow but I see it on Christmas cards and the TV! The snow didn’t stay around once the sun had come up. We were on our way to RootsTech for the Blogger meet-up and show around the Exhibition Hall of over 100 exhibitors. Today I had the pleasure of attending the second day of the Association of Professional Genealogists Professional Management Conference in Salt Lake City. It was an excellent conference which was well run and a good range of topics.My problem was that I really wanted to split myself in two so I could attend both pf the afternoon streams. In the morning session Judy G. Russell known to us all as “The Legal Genealogist” whose blog is one I would suggest everyone should read gave an interactive workshop titled “Order in the Court: Hands-on with legal Records”. Even though these were all US records I found it extremely interesting as Judy brought the records and times to life. I definitely have to buy myself a copy of Black’s Law Dictionary edition 1 or 2 being the best with anything prior to the 1930s still having all the old terms. Judy says that as the USA based their common law on the UK system as did Australia, New Zealand and the Commonwealth countries that the dictionary would be equally suitable for us to use to determine what is meant by those old terms. Then a luncheon and networking session. I met Rosemary Morgan an online friend from Facebook and Twitter and it was lovely to meet her in person. In the afternoon session I listened to Thomas MacEntee talk on Launching an Effective Marketing Campaign. This was a fascinating talk and very applicable both for me and for my other role as President of Southern Suburbs Branch of the Genealogical Society of Queensland. I think that listening to Thomas’ presentation should be mandatory for any Genealogy Society committee as it gave such clear directions on how to launch an effective campaign and even more importantly how to monitor the effect of each of your advertising and promotion spots. Then I heard Lisa Louise Cooke who I have long known for her Genealogy Gems podcasts. I have listened to her free podcasts for a number of years and am also been a Premium subscriber so I knew her presentation on Video Marketing: Killer You Tube Strategies would be entertaining and informative. It was indeed! 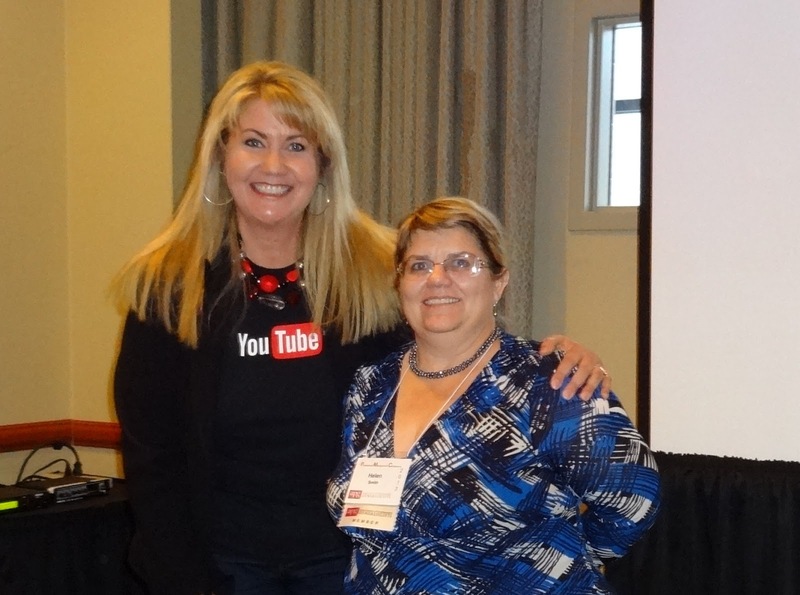 Lisa showed how to set up a You Tube channel and inspired her audience. Video information is here to stay and is a great way of presenting information to people as it allows for a variety of learning styles. Then Jean Wilcox Hibben gave an informative presentation on “Organisation for Genealogy Speakers” Again and excellent talk for me as a speaker and also in my other role when we organise our monthly speakers. It is so much easier to clarify every point well in advance to prevent any issues arising! All in all I was very pleased to be able to attend. The talks were all suitable for international members and I found everybody to be very friendly and helpful. I definitely hope to be able to attend further APG Professional management Conferences in the future. This year the organisers also organised live streaming of some sessions and this is an excellent idea for the international members and also Northern American member who are unable to attend. My attendance may only be virtually although I will try and get there in person from Australia.